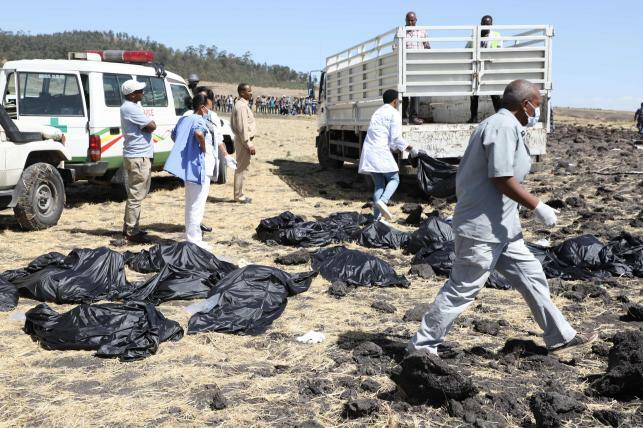 On Sunday an Ethiopian airline jetliner crashed after take off killing all 157 people on board. 32 Kenyans were among those who perished in the ill-fated plane. The 737-800 max was on its way to Nairobi from Bole International Airport in Ethiopia. Now fresh details have emerged over the amount of money that the airline will compensate the victims who died in the crash. Based on the Montreal Convention, each of the families of the Ethiopian Airline crash victims could receive as much as Sh17 million. The treaty, adopted by the International Civil Aviation Organisation, stipulates that “if an airline is found at fault for an accident, each affected passenger is to get a minimum value equal to $113,100 special drawing rights”. This type of plane crash compensation currently equals approximately $170,000 per passenger. This is approximately Sh 17 million per victim! Previous articleProf. MAGOHA already causing ripples in Education Ministry even before he takes up the job as CS-See what he said that has scared the staff to death?